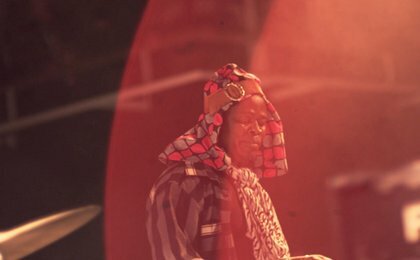 We Intend To Cause Havoc (WITCH) is an unreleased documentary film cataloguing the trials and tribulations of one of Zamrock’s biggest rock stars: Emmanuel “Jagari” Chanda. In the late 1970s, Jagari was the lead singer of WITCH, undeniably Zambia's most popular rock band. At the peak of their popularity, the band riled up crowds by stage diving and dancing manically to WITCH’s blend of traditional Zambian rhythms combined with Afro Acid- Rock, a genre termed as Zamrock. The music is a beautiful infusion of Zambian sounds, with a splash of Jimi Hendrix, The Rolling Stones and a dash of funk and soulful sounds of James Brown. WITCH released a total of five albums in their heydays including the first two, self-produced albums – Introduction and In The Past, the third album Lazy Bones and the final two albums Lukombo Vibes and Including Janet were produced by Teal Records, part of Gallo Records of South Africa. The band disintegrated in the early 1980’s and due to personal circumstances Jagari began working as a gemstone miner to be able to provide for his family. Till most recently, WITCH was just a nostalgic memory of his youth. Fast-forward to 2012, in comes Gio Arlotta, a London-based Italian journalist and self-professed music geek who heard the sound of WITCH for the first time when LA-based Now Again records reissued the band’s discography that year. Gio was hooked to the strange sounds of Zamrock and was positively curious to discover more about Jagari the only surviving member of the original band. “A lot of us know about aging rock stars in the western world but what about an aging African rockstar?” asks Gio. 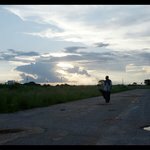 In 2014, he had the opportunity to meet Jagari over several weeks and discovered the fascinating story of his groundbreaking music and exceptional life. With a certain far-sightedness as well as deep interest in Zamrock, Gio has been able to put together circumstances, events, people and places to bring back to life the journey of Jagari as musician and the sounds of WITCH. 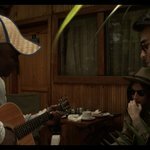 Gio is not only the director of the film but also the manager for the revived WITCH band, in which Jagari is joined by an eclectic mix of musicians from several countries, all with a passion for African music and rock n roll. There is Jacco Gardner on bass, Jay Whitefield on lead guitar, Patrick Mwondela (part of the disco WITCH band in the 1980’s) on keys, Nic Mauskoviç on drums and Stefan Lilov on rhythm guitar. In 2017, the band started its European tour and most recently performed to packed houses in Cape Town, South Africa. WOMEX Film shared an unreleased version of the film as part of the 2018 Film Library. The film, which is still in postproduction, is also exclusively accessible online to WOMEX 18 delegates in the Films on Demand section till the end of November. We had the chance to catch up with the extremely driven and visionary Gio Arlotta at WOMEX 18 to find out more about the project and the chain of events that helped bring back WITCH to the world stage. Sana Rizvi Could you give us a little background into your own personal history with obscure music? Gio Arlotta I have always been a huge fan of rock music and how the genre has been interpreted by bands from around the world to reflect their own take on it. I continue to be drawn to obscure sounds from unique backgrounds with local & cultural influences that present something new and different. Music that is out of the box is my thing. Is your Clam a Jam, a music blog, is a project I started six years ago as a hobby. I started by putting out mix tapes of rare and good records as well as video recording jam sessions. Nowadays, between the film and the band, I haven’t had much time to update it. 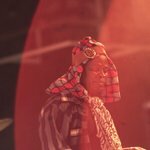 But while filming, I also put together a mixtape for the blog called Lukungu: A Rare Zamrock Mixtape featuring legendary Zamrock musicians such as Paul Ngozi, the 5 Revolutions and Dr. Footswitch. Not an easy feat in a country where there are no music shops let alone record stores. So I had to really dig hard to find these records in Zambia. SR How did you find out about Zamrock, WITCH and Jagari and end up shooting this film? GA In 2012, a friend sent me a track by WITCH that was re-released as part of a discography by Now Again Records. I was blown away to say the least. I started my research into Zamrock since I wanted to learn more about the genre and a country that I knew very little about. In 2014, I had the opportunity to accompany some friends, who were doing a cross-continental African road trip promoting 4x4 trucks, as the team photographer (Funnily enough at the same time I was shooting a video with Dutch musician Jacco Gardener and he also pushed me to go to Africa on this trip as it was a once in a lifetime opportunity and he was also interested in music from the continent) . In Tanzania, while the rest of crew took two weeks off to climb Kilimanjaro and visit Serengeti, I decided to go Zambia and meet Jagari and ended up spending everyday with him. The more we spoke and the more I learnt about his life story, the music, the influences the more I was like this is all very unique and interesting! I came back to London with a ton of recorded interview footage and showed it to some friends who urged me to pursue the project, as there was definitely a compelling story to tell. In 2016, I went back to Zambia to shoot the rest of the film with a team including the creative director/DOP Tim Spreng. At the same time, Jacob Gardener and Nic Mauskoviç were looking for a band in Africa to collaborate with and asked me to shoot their videos and I thought “Oh wait a second, this is perfect.” The next thing we know, we are all in Zambia, not only shooting the film, but also collaborating with Jagari, resulting in a gig in Lusaka playing WITCH songs, a collaboration that continued on to a Europe tour for the band. SR You are not only the director of the film but also the band’s manager, is there pressure to give Jagari– the only surviving member of WITCH – the recognition and respect that he craved outside his country? GA Sure, I do worry about it but I have always had the best interests for the entire project, which means putting the well-being of Jagari before me. It has been 4 years since we got to know each other and have become very good friends. I would love for him to earn a decent living from the music and for the music to sustain him in the long run, so he can hang up his mining shovel and put on his high heeled dancing boots. I’m also learning as I’m going along, as there are many firsts for me in this journey, but I do believe that the time is ripe for the band to be successful. SR It is also your first feature-length documentary - how was the process for you as a director? Was there anyone you drew inspiration from while shooting the film? Was it a conscious decision to shoot parts of the film in VHS and Super 8? Some of the footage from Zambia was shot on VHS, since I started my video work with the same and love the medium and also the grainy fuzzy feeling one can get from film. We also wanted to shoot some of the nature shots in Zambia on Super 8, so as to make them seem like archival footage. I have done a lot of psychedelic, obscure videos in the past which has influenced my style in the film in terms of being quite visceral that is capturing a mood and a feeling that I hope the audience can experience, but this being my first ever feature length film, I was constantly learning and improvising as I went along. SR How is Jagari dealing with the revival of the band and the fame? GA Jagari is a natural musician and showman. He is thrilled that this could be happening for him all over again on an international scale. He is a born performer and gives every gig his 150%. There are times where I need to remind him to warm up a little before the gig but he goes at it like a machine. Since he is still mining, he is super fit and outshines everyone in terms of energy and passion. He had never performed internationally before, so for him its not only great that he gets to be a musician once again, but also gets to experience new places and people. He has been through so much in his life and he feels that being able to do what he loves the most, even at a much later stage of his life, is a real blessing. There is still a constant battle between the rockstar he wants to be and the side that is religious and needs to continue to provide for his family. But he is taking it all in his stride. SR What do you hope audience will take away from the film? GA I hope that other people will discover an incredible, yet unknown genre of music as well get to know the beautiful country of Zambia. The film, I believe, is a great way to get a glimpse of a struggling rock star, that once had fame in and around his country, but now, after more than two decades, is becoming popular worldwide. The film shows a very different reality of a passionate musician and I hope those who watch the film can then go for a live performance of the band, because that is the ultimate full experience that this film has to offer as part of a larger project. SR How can fans follow the music of the band and do you have some tour dates announced? GA We're basically going to keep playing around the world, with our next gig in Spain on March 9th, around which we're creating a bigger tour. All the music can be found on Spotify (as We Intend To Cause Havoc), as well as in record stores.